Payment for outpatient services is due at the time the services are provided. If your pet is admitted to the Foster Hospital, you will be required to leave a deposit of 75% of the estimated amount. We accept cash, personal checks, MasterCard, Discover or VISA. The balance of your account is due at the time your pet is discharged from the hospital. 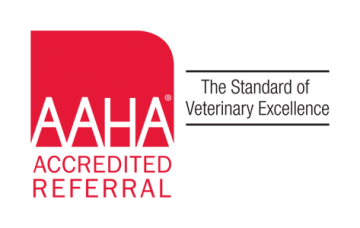 If during your pet's stay you and your veterinarian agree that additional care is needed beyond what was anticipated at the time of the original estimate, you may be asked to make an additional deposit toward your final bill. If you think you may have a problem paying your account in full, please contact our Accounting Office prior to discharge at (508) 839-7938. You may be able to set up a payment plan through CareCredit, a firm specializing in medical care payment plans.